Ownership numbers need to grow, no doubt. But, even if the economic climate is not right for foal crops to rise sharply, fresh blood in the ranks of breeders would also be welcome to put the future of the industry on a surer footing. 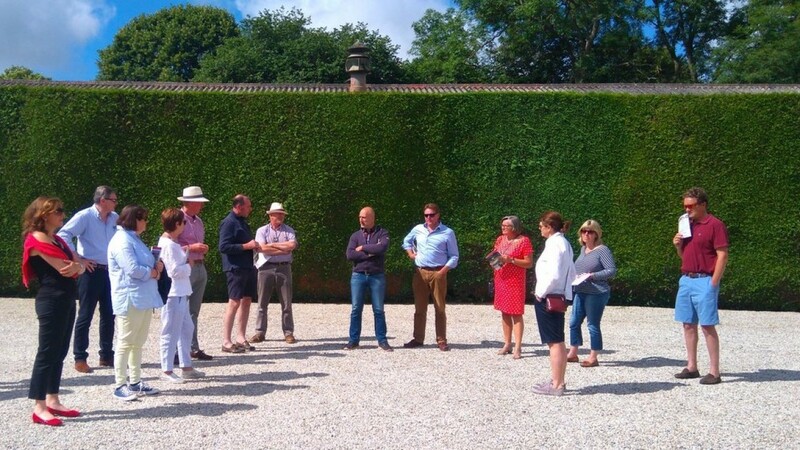 So doff your cap – or, perhaps more appropriately in the circumstances, beret – to David Futter, the master of Yorton Farm in Welshpool who has been in Deauville this week giving 18 newcomers a taste of the excitement and glamour of the bloodstock world. The members of the Yorton Breeders Club have attended the Arqana Summer Sale and experienced vicariously some of the thrill and intrigue of selling horses, as Futter was helping to oversee three of the farm's charges go through the ring - including a son of Great Pretender who made €70,000. They have also experienced the best of Normandy: a visit to the picturesque Haras du Thenney to inspect the stallions; an excursion to the equally pretty Clairefontaine racecourse; and evenings out sampling the region's gastronomic delights in Deauville's lively restaurant scene. The FRBC [French Racing and Breeding Committee] and Arqana provided considerable help with the itinerary. “The team at the stud came up with the concept of the Yorton Breeders Club to give people from outside the industry an opening to get involved in a pleasant way,” explained Futter. “So we've held open days, organised visits to Dan Skelton's yard and brought them over to the farm to see the horses. Entry to the Yorton Breeders Club costs £500 for a couple or £350 for one person, and there is a big launch party each year, with frequent get-togethers to follow. Last year, champion jockey Richard Johnson was the club's ambassador. “What goes on in every farm is extremely exciting but those of us involved take it for granted and think it's normal,” Futter said. “So what we're doing is demonstrating that to people and saying come and get involved - be a part of it. After a short break in the Normandy sunshine, Futter has 18 happy club members surely more inclined to invest in thoroughbreds in future.